1 – Why is photographing wedding important to you? That really I think is the biggest tell… You know that having your wedding photographed is important to you, but is it as important to the photographer? And why? What’s keeping her from burning out, since she goes to a wedding every weekend for who-knows-how-long? I think your wedding photos are marriage-insurance. I think looking back on those photos is going to help carry you through the tough times that may lie ahead. So when I photograph a wedding, I’m doing it for you five, ten, forty years from now. It’s a big deal to me. And that brings me to 2 – How long have you been a photographer? There is no substitute for experience, including education. It takes 10,000 hours of deliberately practicing a skill to become masterful. There is no fast track to mastery. If you want to rest assured that your photographer will reliably cover your wedding, you have to spend the extra bucks on an experienced photographer. This is not about style exactly, it’s about being certain that what you see in their portfolio is what you’ll get for your wedding. This is not to say that a kid fresh out of photography school can’t do a great job. You’ll save some money, but you’ll be rolling the dice. After 12 years behind the camera, there are no questions about the reliability of my work. 2.5 How many weddings have you photographed as the lead? Not that there’s a specific number to look for, but photographing weddings is not like any other photography pursuit. Someone who is great at photographing flowers, landscapes, portraits, etc is not necessarily going to know how to handle the demands of a wedding. First off, it’s a long day. It takes stamina to be “on” from when you get your hair done until the last dance. A full day of shooting also takes diligent management of camera memory and battery power. Second, weddings are chock full of surprises… like the one when the bride assured me that I would be able use my flash during the ceremony, and then after the bride had walked down the aisle, the officiant asked me to put my flash away. I smiled and adjusted, but I can only imagine how panicked I would have been earlier in my career. Lastly, photographing weddings means working joyfully with other vendors, being goofy with children, patient with grandparents, and maybe tactful with strained family relationships. Photographing flowers is relatively simple in comparison. 3. Is this your full-time work? There are a lot of photographers who shoot weddings on the weekends and then have a 9-5, Monday-Friday. There’s nothing wrong with that, it’s just important for you to know where you fit on this photographer’s priority list. A part-time photographer will likely take longer to get your photos edited, your prints sent, and your album designed. It might also take him or her longer to answer your phone calls and emails. 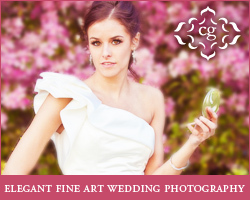 It also may be an indication as to how solidly committed they are to wedding photography. Even when I first started my business, I considered photography my full-time work, and taught Photoshop part-time. Teaching was second on my list of priorities. 4. What happens after the wedding? Your photographer, and your videographer if you have one, will be the only vendors you will ever need to talk to again after the wedding. The venue is done, food is eaten, flowers are dead, music is over… but the photographs just begin. I’ve met a photographer or two who just wants you take a disk and never call them again—they don’t like to “deal” with the client after the wedding. And if that’s what you want too, then great. I tend to fall in love with my clients, and they become my friends. We chat on Facebook, we meet for wine, they come to the little parties I throw now and then. If there’s ever something they would like, I’m here for them. If three years after the wedding they want another print of something, or now they can afford the album of their dreams, I’m here. 5. How long do you save the photos of my wedding? Photo files get big fast when you shoot a lot. Some photographers promise to keep your photos for a year or so, and then clean out their hard drives. I’ve never been able to bring myself to delete my photos… I love them too much. And so, I’ve got hard drives backed up a couple times over locally and remotely so that I never lose a photo. A few months ago I met a woman who had lost her home in a fire, and she told me that the only things she misses are her photos. If I had photographed her wedding, she could get her photos back. 6. Ask to see one full wedding. It’s easy to show you a couple great shots from a few different weddings, but make sure you see at least one full wedding. 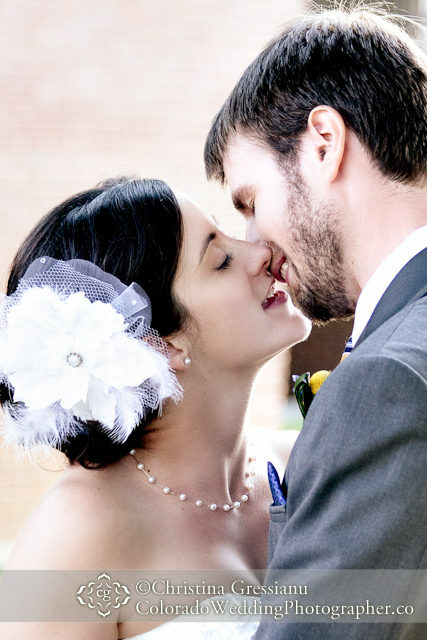 Whether an album on your lap, or an online gallery, look through the photographers full wedding. See if by the end you have a good feel for that wedding day—for the unfolding of the story, for the couple and their party. Beyond these questions, see how interested the photographer is in you. Let them ask you questions and if a fun, joyful conversation flows easily then that’s a good indicator too. After all, this person is going to follow you around your whole wedding day; it’s more fun if you like each other and you’re comfortable with her.